Today’s post is a guest piece from Anne Emerick, who sent me a fantastic proposal a couple of weeks ago. As you might guess, given that my new book Publishing E-Books For Dummies came out last week, I’m very much in favour of the ebook revolution … and it’s great to hear such inspiring success stories from fiction-authors. I hope you find this post encouraging! Something wonderful is happening now across the United States, even world wide. Stories once buried among old tax receipts, school pictures and electric bills have escaped desk drawers and sprung to life. Reborn via digital publishing, primarily the Kindle, such stories have established new writing careers, introduced authors to appreciative readers, and given birth to sequels. Here are four separate tales of how some very old stories became brand-new books and permanently changed their authors’ lives. Ragan finished writing her first novel, Return of the Rose in 1997. While she sent it to editors and agents, she continued to write, attend RWA (Romance Writers of America) conferences and enter writing contests. Ragan thought she had caught her big break when an agent signed her in 1999. “For a week or more, I didn’t care if I ever sold a book. I just walked around the house telling my kids over and over again that I had an agent. Theresa Ragan, former waitress and Legal Secretary turned romance writer, had an agent!” But over ten years later, having written more stories and with another agent, Ragan still waited to see her work published. Ragan now has seven titles available on Kindle and paperback and has sold over 300,000 copies. Gray began writing a book she titled, Shadow of the Flag in 1984. Yes, 1984, as Ronald Reagan was beginning his second term in office. Over many years of writing, submitting and rewriting, Gray divided her story into two books. She reeived a number of enthusiastic rejections from agents and editors and two offers to publish the first book by publishers who then went out of business. Four years ago a literary agent offered to represent Gray if she would rewrite the books from a different perspective. The agent’s vision of her books didn’t fit with Gray’s. Her books lay idle until May 2011, when several friends and family members were raving about the fun they were having with Kindles, discovering a wide variety of books and new authors. Eager to test how readers might respond to her stories, Gray decided to rewrite her two very long books into a series of more modest length novels. 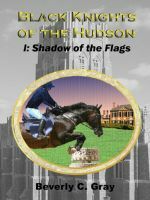 Working five to six hours a day on work days and fifteen or sixteen hours a day on weekends, Gray rewrote her two large books into Black Knights of the Hudson, a series of five books, ready to publish on Kindle in approximately 7 months. Gray said she is currently working on what will become the sixth book in the series. Sales of her current books average between $200 and $300 a month, but what Gray truly treasures are receiving emails from enthusiastic readers and the freedom of Indie publishing. People who say you HAVE to envision success in order to achieve it, won’t like what Nick Russell has to say about his Kindle sales. 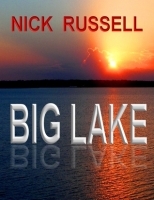 I wrote Big Lake back in 1998, then it sat on my computer until May of 2011. While I had owned several small town newspapers and written several RV/travel books, it was my first attempt at fiction and I had no confidence in my ability to craft a good story. I let a few friends read the manuscript and they all urged me to do something with it, but again, lack of self-confidence held me back. In May, 2011 after a lot of prodding by my wife and a good friend, I mentioned the book in my daily RV blog and offered to send a PDF copy to anyone who wanted to read it, in exchange for their feedback on whether to go forward with it. I was very uncomfortable with that, but the response was overwhelmingly positive. So I decided to give it a try as a Kindle e-book. I went live on Kindle May 21, 2011. To date it has sold over 112,000 copies on Amazon and Smashwords, and it is also in print format. Nobody is more surprised than I am by its success. The sequel, Big Lake Lynching, was published January 31, 2012 and has sold about 12,000 copies so far. Three weeks ago I released the third book in the series, Crazy Days in Big Lake, and it has sold about 800 copies. Kessler’s first novel, Jezebel was under a publishing contract in 1992. But in a author’s-worst-nightmare-scenario, one week before Jezebel’s scheduled first print run of 10,000 books, the publisher went bankrupt. Unable to find another publisher, but confident in Jezebel, Kessler self-published it in hardcopy in 2001, but had little luck marketing it. Over the last few years Kessler began reading about ebooks and watching the digital book market. In November 2010, he prepared Jezebel for Kindle, but didn’t yet publish, still not impressed with the potential for Kindle book sales. All that changed when Kessler attended an OWFI (Oklahoma Writer’s Federation, Inc) conference in May 2011 and heard a couple of writers report that they were averaging 50 Kindle book sales per day for a single title. Several other writers had positive experiences as well. Kessler knew it was time to jump in with both feet. “I’ve now ePublished everything of much size that I’ve ever written,” Kessler reports, “including five books on writing, two short stories and soon to be six novels.” Kessler’s books are earning him between $250 and $500 a month and he’s hoping to see that rise significantly with the holiday season. 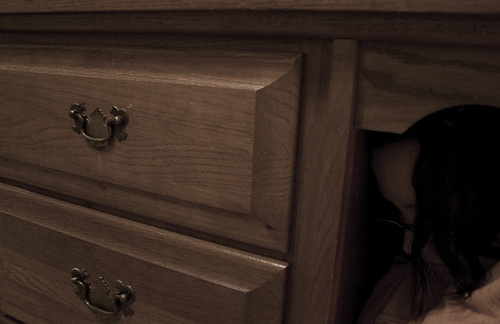 Reading of other authors’ experiences, I thought of my own stories that had not made it past the publishing gatekeepers: slush pile readers, editors and agents. The ability of an author to reach out directly to readers without needing the middleman of traditional publishing is a completely new paradigm. And so, I opened my desk drawer and got out the folder marked “Seuss”. As an avid reader myself, I love the wealth of stories that eBooks now provide. Truly, we are wandering in Aladdin’s cave of literary wonder and I am delighted that so many writers’ voices can now be heard. This guest post was written by Anne Emerick who describes herself as a writer with a quirky sense of humor. You can learn more about Anne and her books here. What a wonderful, inspiring post. I love the new direction that publishing is taking. It empowers both readers and writers, who now have so many more options. I look forward to checking out some of the authors mentioned in this post. I love this blog, Ali, it always seems to inspire me when I’m feeling down about the amount of time its taking to get my writing out there. Thanks, Bridges. 🙂 The writing path can seem a long and lonely road at times … stick with it, and best of luck getting your writing out there! There’s a great paradigm shift in this world of great technology. Of course I’ve had my poetry book published on kindle and my newest novel will soon hit kindle sooner than later. Congrats on having the poetry book published, Cudjoe — and hope sales of the new novel go well! Yes, this is a huge shift in the publishing world … one that we writers can’t afford to ignore. Anyway, although allowing my husband and friends to read the stories from elementary school were beyond embarrassing, I did find a book I wrote and re-wrote and countlessly revised back in high school that I’m still kind of proud of (complete with my own rejection letter from a contest). Perhaps it’s time to revise it another time or two and try my hand at e-publishing (or at least posting on FictionPress.com to see what readers think). Hurrah on the library! In my house, we seem to be in constant need of just one more bookshelf… despite now both having Kindles. Thank you, Ali, for this guest post. I found the discussion interesting, to be sure. It is amazing how we writers take our work for granted. Just because one agent or editor or published decided to reject your work–in his or her infinite wisdom–we tend to think that our creative masterpiece has no future. And then our work gathers dust on the top shelf or we lose sight of it. Suddenly, after years of lying in the wilderness, your work sees the light of day. The same work that was rejected is published and your work acquires new wings to fly like an eagle in the vast, open spy. And you truly feel like a free bird. That’s how the writing life is sometimes. The moral of the story: don’t be too quick to accept the judgement of these gate-keepers. Don’t value the opinion of one person over your own. A work is open to a variety of opinions and interpretations and you never know when you will hit the jackpot. So, keep on writing and never give up. Chase that prize down to the wire. One day, it just might be yours to win.